"I think we'll see a loss of some really incredible people that make up this beautiful province," said Jagmeet Singh. 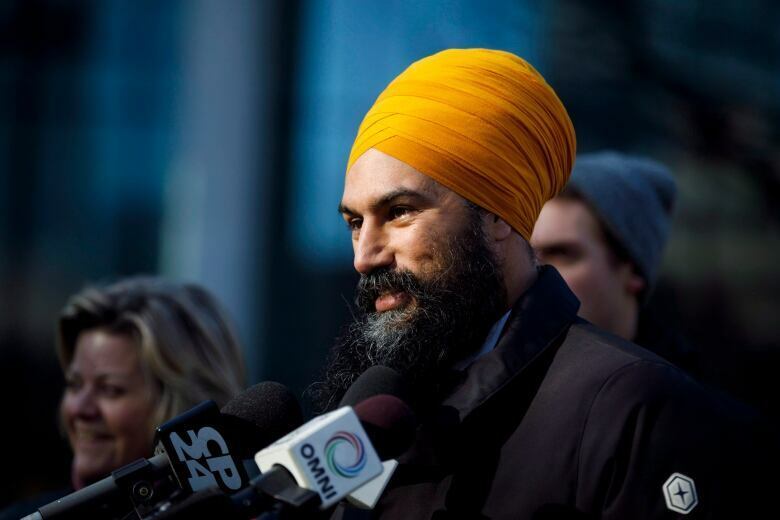 Federal New Democratic Party Leader Jagmeet Singh wears a tightly wrapped turban on his head and a sheathed kirpan on a strap — symbols of his Sikh faith. As a teacher or police officer in Quebec, Singh wouldn't be allowed to wear such symbols under the provincial government's proposed ban that would prohibit public-sector workers from displaying their faith while on the job. Such a law could push people out of the province, Singh told CBC Montreal's Daybreak host Mike Finnerty on Friday. Below is an excerpt of their conversation. The questions and answers have been edited for clarity. Mike Finnerty: If you were faced with the choice of taking off your turban or getting sacked what would you do? 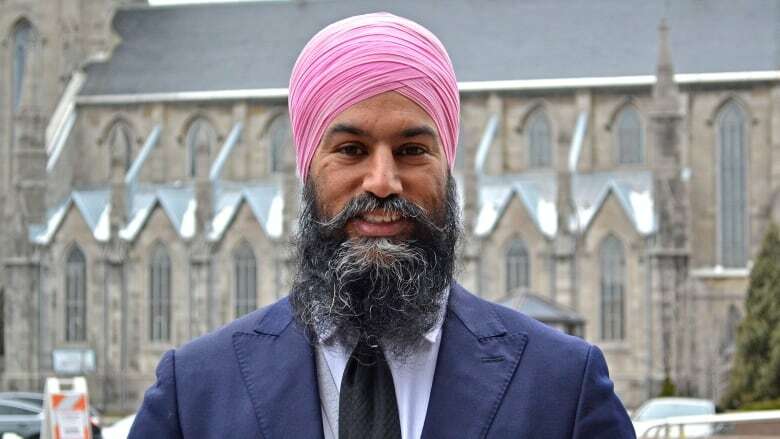 Jagmeet Singh: For me, it's important to remain true to who I am. There's lots of people that love being a part of Quebec. They love the language. They love the culture — have an identity that's a part of who they are. It's an unfair thing to do, I think, to make people pit the two against each other. There are people who love being here in Quebec. I think we'll see a loss of some really incredible people that make up this beautiful province. Of course, it's a Quebec decision to make. MF: Is it a Quebec decision to make or is the Canadian Charter of Rights and Freedoms implicated? JS: More importantly, there's actually a very strong Quebec Charter of Rights and Freedoms and that piece of legislation is very robust. I'm very confident that the Quebec Charter of Rights and Freedoms will protect citizens. MF:How do you respond to the argument that religious symbols on public-sector workers essentially sends the message that somehow the state is not secular? JS:There's no way to say that you're not supporting one identity or other, because there are certain identities that don't require a kippa. But there are other identities that have headgear. I think it's a hard argument to make, that one is more neutral than the other, because there's always a certain tradition that may not have headgear and one that may or may not have a certain way of dress. I think that the point should be that we we have a society that is secular through the values that we promote — that sets freedom and access to justice for all. That there's no barriers based on who you are. Those are the ways that we ensure that it is a secular society. MF: Do you take it personally that a province of Canada is basically saying you can't wear a turban? JS:I don't take things personally. I mean, if I would have taken things personally, I would have would have created a lot of struggles for me. I think I always try to find a way to bring people together and I always try to find connections. I think that we have far more in common — all of us — than things that separate us. I always try my best to focus on the similarities. I think that we we live in a beautiful society when there is diversity of thought, diversity of expression and appearance. And I think celebrating the differences that we have is a beautiful thing. It creates a richer society. MF: Is there not a risk that, if this all goes through, that it will make you less popular in Quebec? JS:I am someone who wears a turban and has uncut hair. In terms of my values, I'm someone that absolutely unequivocally supports LGBTQ rights. I support women's rights. I unequivocally support the rights for a woman to choose. Then we have someone like Andrew Scheer [Conservative Party leader] who doesn't wear a turban and doesn't keep long hair, but he actually does not support a woman's right to choose or he's raised concerns about it. He has raised questions about his support of the LGBTQ community. My beliefs actually supports a defence of the rights of all people. It is very much in line with who I am — for me to defend these rights and I unequivocally do it as a New Democrat. It really kind of questions, who is more secular between Andrew Scheer and I? I actually support the rights of all people and have consistently done that. Does Andrew Scheer? And look at our appearances. Who is actually defending what Quebec values are — which is the right for all people to be able to live the way they want to live. MF: Does it every get tiring to do this over and over again? JS: I'm always up for the challenge. I'm not alone. A lot of people have had to deal with certain challenges because of who they are — women in politics. I think that I might represent what a lot of people go through in their own lives — a lot of people that are counted out or maybe have to explain who they are and face challenges in their workplace and in their lives. And I'm just someone who's experienced it now at the federal level and I'm able to maybe share their experiences and their challenges.